If the regular Samsung Galaxy S4 just doesn’t offer the data speeds that you need, you’ll be pleased to know that Samsung and South Korean carrier SK Telecom have come together to announce the world’s first LTE Advanced capable device. The Samsung Galaxy S4 LTE-A is the newest smartphone to join the Galaxy S4 stable, and will be available in South Korea in blue and red. On the outside it might look like a regular Galaxy S4, but looks can be deceiving, as this version of the Galaxy S4 will include the fire breathing quad-core Snapdragon 800, clocked at 2.3Ghz. If we take a look at the benchmarks of the Snapdragon 800 taken a few days ago, we know that this will be one of the fastest smartphones in the world. The Samsung Galaxy S4 LTE-A will provide speeds of up to 150Mbps, however SK Telecom plans on improving the network to go even faster in 2014. SK Telecom will offer 1080p video streaming in July, an HD video shopping service in August and FLAC audio files via its music package, all to take advantage of the higher speeds that LTE Advanced offers. What’s the difference between LTE-Advanced and regular ol’ LTE? 4G LTE did not fully comply with IMT-Advanced requirements to be technically considered legitimately 4G, that’s why the term LTE was added for marketing purposes. It offered peak download speeds of 100Mbps and upload speeds of 50Mbps, which did not meet IMT-Advanced requirements. LTE-Advanced meets and surpasses the IMT-Advanced reuirements, even though current implementations do not. Therefore another version of LTE called LTE-Advanced was designed to meet and surpass the IMT-Advanced standards. Although LTE Advanced can theoretically achieve speeds of up to 1Gbps downloads and 500Mbps uploads, it can not currently achieve these speeds as it supports download speeds of up to 300Mbps. However, data speeds will be improved in the coming years. For an in depth explanation of LTE Advanced, click here. When will we see LTE-Advanced in other countries and what are its use cases? The world’s first LTE Advanced network was launched by Russian network Yota, in Moscow in October 2012. Now South Korea is the second country to use the technology, but the first to get a mobile device that can utilize LTE Advanced. Most countries are still rolling out their regular LTE networks, so it may take some time for the technology to go into mainstream use. While U.S. carriers Verizon, AT&T and Sprint have all announced plans for LTE-Advanced, none have given a definite time frame. Most other countries are still working on deploying regular LTE, so it may take some time for the technology to go into mainstream use. With 4K technology set to boom in the years to come, LTE-Advanced will allow mobile users to stream 4K content straight to their tablet or smartphone. Samsung has set a world first by unveiling the Samsung Galaxy S4 LTE-A, and if you are an owner of the regular Galaxy S4 you shouldn’t be too upset, unless you live in South Korea of course. It’ll also be interesting to see how the Snapdragon 800 fares in real life performance, and whether those benchmarks can translate into blistering speeds in the real world. 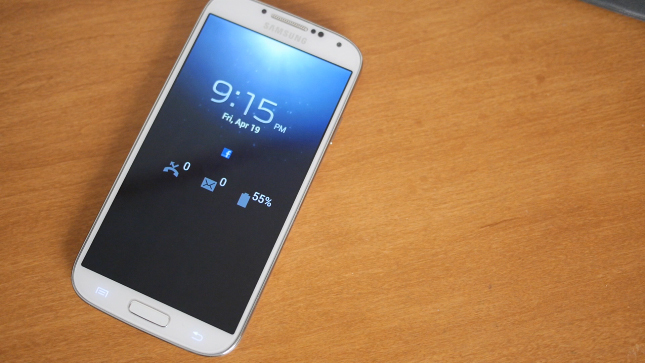 Are you disappointed in Samsung’s release of another Galaxy S4 variant?